“Wearing hair is a great option for people who to solve challenges. Whether it’s thinning, breaking, or length. 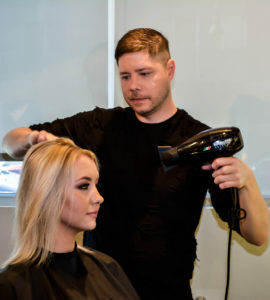 With our NEW Vomor extensions being customizable, it gives endless options.” Brent P., A Mark Pardo SalonSpa Stylist, from our Nob Hill Location. When you come in for a Vomor extension appointment. We walk through a detailed process to ensure you leave with your goals met. Consultation: To kick off our Vomor appointments we talk through an extensive consultation process. Where together we identify, your expectations, and goals. 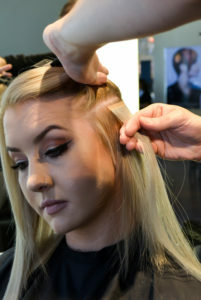 By doing this it will allow our stylists to provide you the hair that will best suit your needs. Durning this time, we also discuss in detail care instructions, tips and answer any questions you may have about your new extensions. Hair Match: To ensure your natural hair blends seamlessly into your extensions. Our stylists use a variety of methods to provide a length and color that matches your current or desired look. Our NEW Vomor extension line comes pre-colored with Aveda color, however, it is VERY customizable. Making the possibilities endless. In our locations, we carry a variety of natural colors and a selection of jewel tones to give an extra pop of fun. 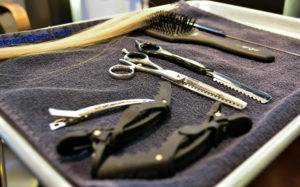 Cleanse: Before we place your new extensions, we cleanse the hair of any oil & debris. Planning: To ensure the extensions will create the desired look. They will be sections, measured and placed in the hair. Application: After the hair is measured and placed. 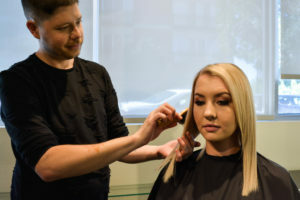 They are then installed in the hair to create the desired look. If, for example, extensions are being placed to combat breakage or to create fullness. The application process will take around 1hour and 15minutes. 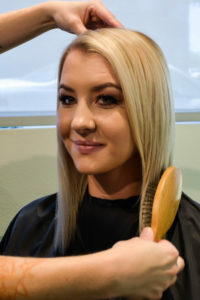 Styling: After the extensions are placed they are then cut to ensure seamless blending. (Durning this time we may curl them to demonstrate how to style your new look & we will demonstrate how to shampoo your hair). Going Home: When your appointment is nearing the end, we will give you a take-home kit. 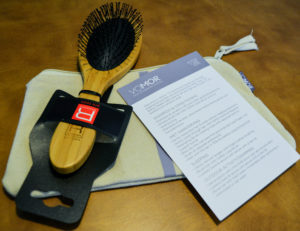 Complete with a brush, specialty made for extensions and reminder cards with at home care instructions. Don’t use heat on Vomor Extensions that exceeds 350 degrees. Aveda’s Brilliant Damage control Spray is one of our favorites! On average our NEW Vomor extensions last 6 months, as long as you come in for regular maintenance every 6-8 weeks. Can I get the extensions if I have wavy, curly or textured hair? YES! “The quality of hair allows us to manipulate with color and texture. 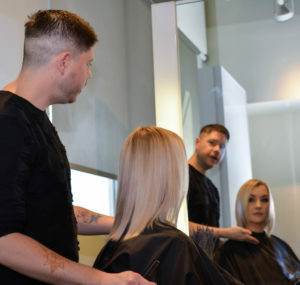 If we want to make a wave we can chemically ajust it, allowing us to customize the extentions for specific hair types.” – Said Brent. Extensions can be a wonderful way to add a pop of color, length or even more volume. Call us today or stop into one of our locations to see if Vomor extensions are right for you. Want to see a live demo of the extension process? Click here to see our newest YouTube video.